Berlin is where it's at! 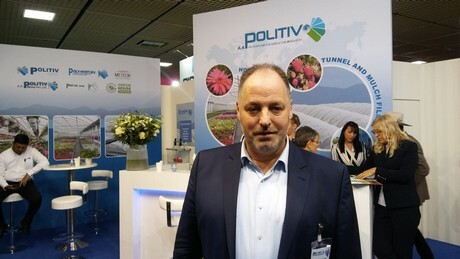 This morning the Fruit Logistica kicked off in the German capital. 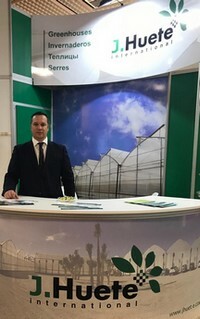 The exhibition was originally focused on the fresh produce traders, but the number of horticultural suppliers has grown considerably in recent years. Ready to go! 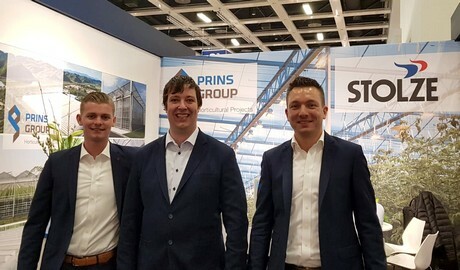 Tom van Veen with Prins USA, Jelle Boeters with Stolze & Marco Zwinkels with Prins Group. 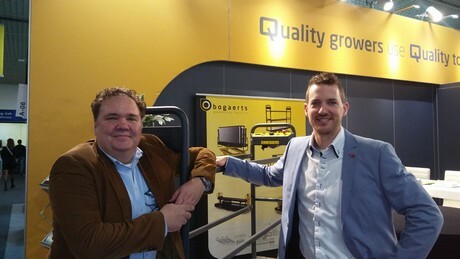 Following the fresh produce trade industry, more and more growers are visiting the show, and where there are growers, horticultural suppliers can be found as well. A very decent horticultural visit can be arranged by visiting halls 6.1, 7.1, 8.1 - all technical halls - and of course the Dutch hall 3.2. Hot topics in horticulture include LED lighting, vertical farming, substrates and ways to minimise the amount of labour required in a greenhouse. Also using less and less plastic in the industry is a hot topic this year. On the right, Juan de Luque Novoa with J. Huete. For visiting fresh produce traders on the show, you would really need three days and some serious walking shoes. With over 3,500 exhibitors divided by country, it might take some time to get your bearings. You can find all exhibitors here. 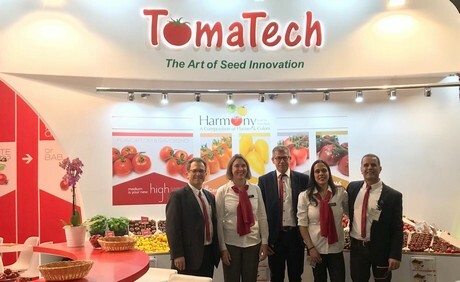 The TomaTech team brought various novelties to the show. Read all about it here. Over the next couple of days we will update you with news from the exhibition. If you're around, feel free to drop by at our own booth in hall 3.2 and don't forget to pick up your free copy of the Greenhouse Guide.